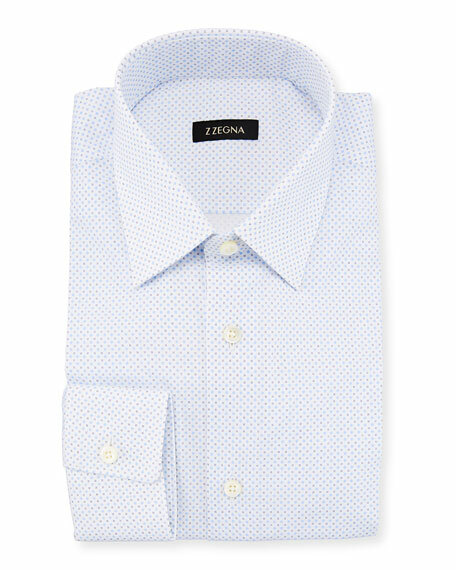 Z Zegna dress shirt in dot-print. BOSS evening dress shirt with trim detail. Spread collar; button front. Barrel cuffs. Slim fit. Shirttail hem. Cotton. Imported. Brioni dress shirt in gingham check. Ventiquattro anti-crease fabric, ideal for travel. Spread collar; button front. Rounded barrel cuffs. Shirttail hem. Cotton. Made in Italy. EXCLUSIVELY AT NEIMAN MARCUS Ermenegildo Zegna dress shirt in graph check. Point collar; button front. Rounded barrel cuffs. Shirttail hem. EXCLUSIVELY AT NEIMAN MARCUS Ermenegildo Zegna dress shirt in graph check. Point collar; button front. Rounded barrel cuffs. Shirttail hem. Cotton. Made in Switzerland. EXCLUSIVELY AT NEIMAN MARCUS Ermenegildo Zegna Trofeo Comfort?? dress shirt in micro-print cotton. Spread collar; button front. Mitered barrel cuffs. EXCLUSIVELY AT NEIMAN MARCUS Ermenegildo Zegna Trofeo Comfort?? 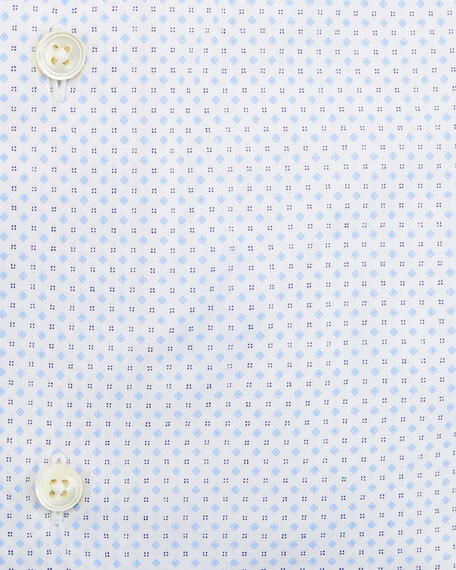 dress shirt in micro-print cotton. Spread collar; button front. Mitered barrel cuffs. Shirttail hem. Cotton. Machine wash. Imported.